No more roommates means no more dishes piling up in the sink or loud music keeping you up at night. But it also gets…well…lonely. Check out this advice for living on your own in college. You’ve swapped roommate stories with your friends, but don’t forget, your roommate’s probably doing the same about you. Those stories are bound to be good if you follow these Ten Commandments of Being a Good Roommate. You’ll most likely be making one or two trips to Target before school starts. Don’t let Target’s marketing make your decisions for you. Before you go, read these shopping tips, including shopping the endcaps and knowing the markdown schedule. Now it’s time to move all of that stuff into your dorm. Hopefully you’re on the lower floors, and hopefully you have an elevator. Then you have to organize everything and make it feel like home. 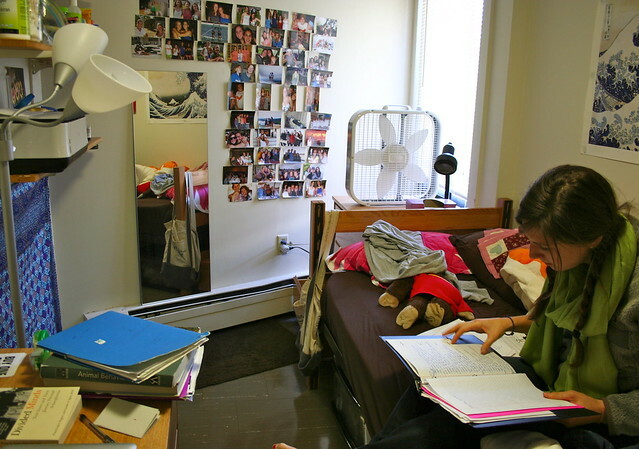 Check out these tips for moving into the dorms.